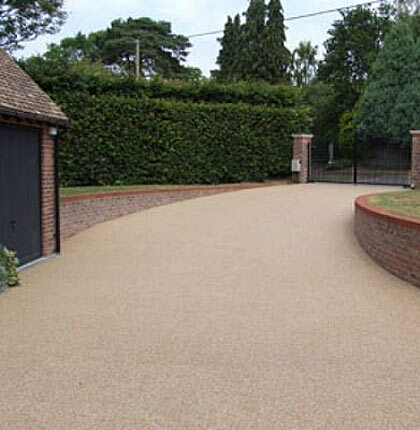 Resin Bound systems are the most popular decorative surfaces available due to the smooth surface, uniform appearance and durability. 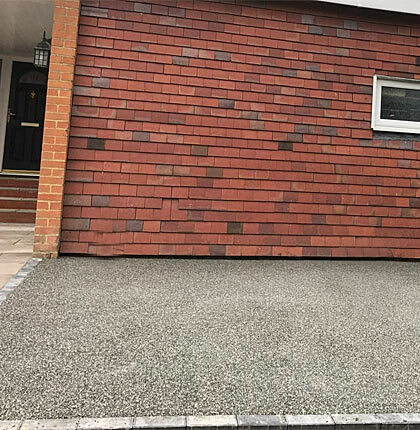 A Resin Bonded system is laid out in a different manner which involves applying a layer of resin to an existing suitable surface where aggregates are scattered on top - mimicking the appearance of loose gravel. 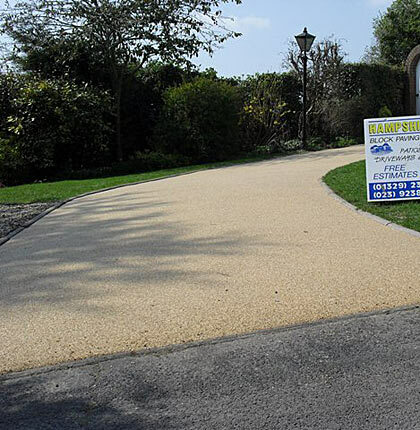 Resin Bound is recommended to be laid and between 12 mm & 18 mm, to any firm surface, and can be laid in just one day! Very environmentally friendly, as in many cases your existing surface can be used as a sub-base. And let's not forget the benefit of this porous self-draining product, so no nasty puddles! Any unsuitable surfaces can be prepared, with installation of a new appropriate sub-base if required. Available in a wide range of colours and textures, from two leading UK suppliers, they will enhance the beauty of any landscape. 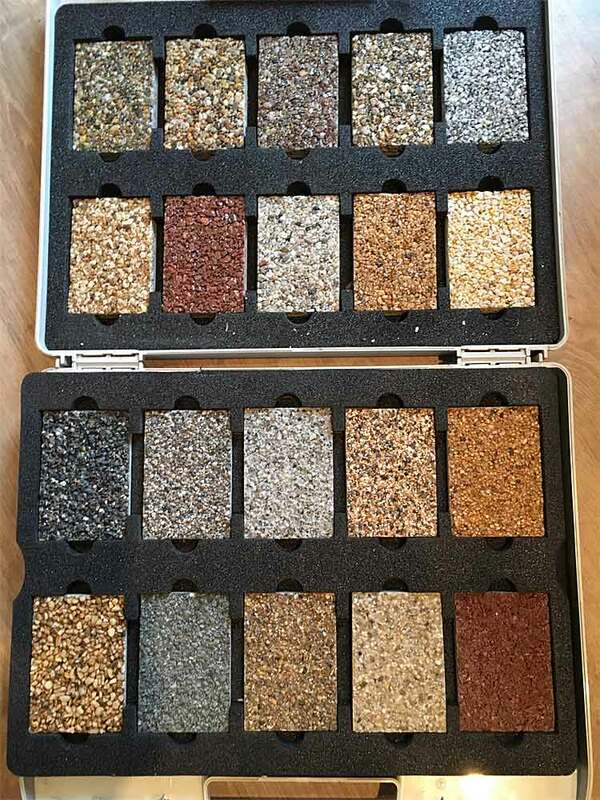 Take a look at some of the resin colour mixtures we offer; if you can't find the one you are looking for, we can create any mix you require! The suppliers we use have tested their resin and it is considered to be the best solution in the industry. So you can be confident in what we are installing. Please note that we are certified users of ADBRUF resin bonded products (see certificate). 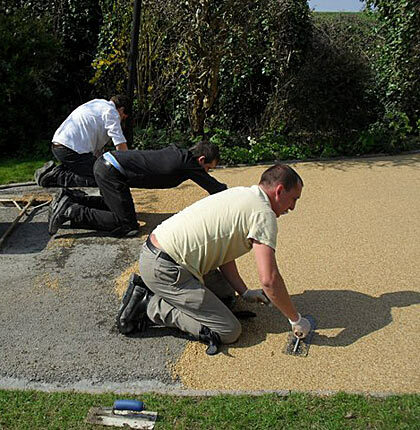 With full qualifications, training and experience in laying resin surfaces, you can be confident in getting the very best! 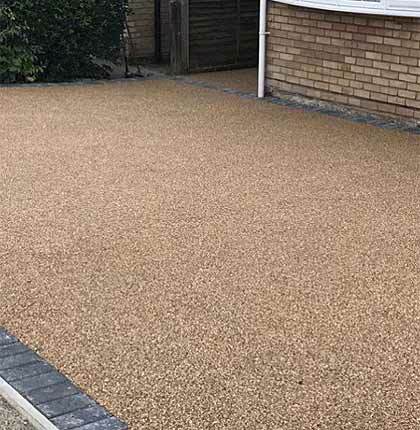 A resin bonded system is laid out in a different manner which involves applying a layer of resin to an existing suitable surface where aggregates are scattered on top - mimicking the appearance of loose gravel. While a hard surface is achieved the top layer of the aggregate is exposed and subject to wear and tear. 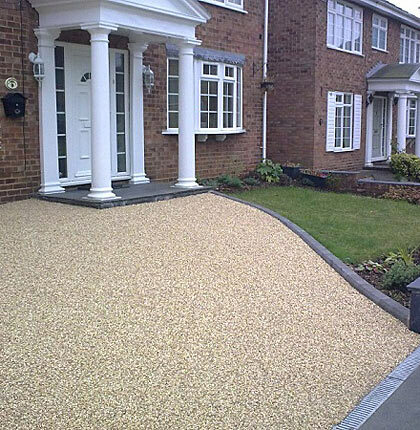 Only 1-3 mm aggregates should be used for resin bonded surfaces.